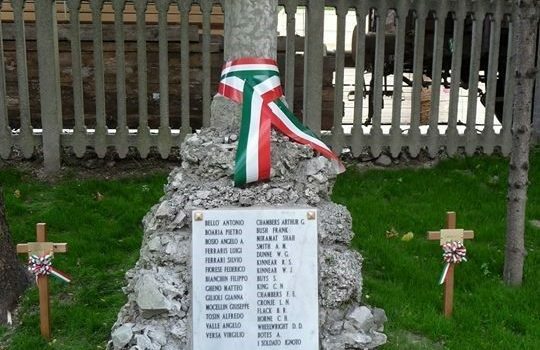 Marzabotto – An Italian town’s appreciation to South African troops for rescuing them from total annihilation after the massacre of it’s townspeople by Nazi SS during World War 2. 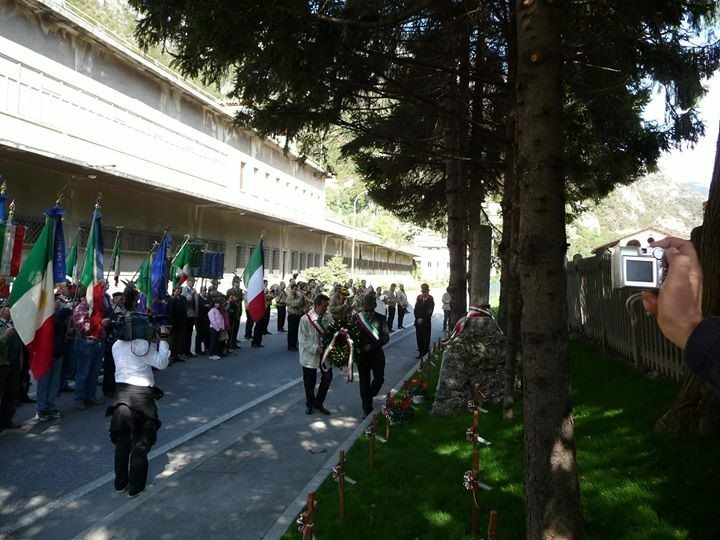 Today, deep in the heart of Italy’s Apennine mountains between Bologna and the Po valley, in the communities of Castiglione dei Pepoli, Monte Stanco, Grizzana Morandi and the surrounding area local people gather annually not only to celebrate their towns’ emancipation from Nazi forces in the autumn of 1944 by the 6th Armoured Division from South Africa, but even to raise the South African flag in ceremony. Their gratitude is so great, because this area was the site of the biggest, yet least-known, massacre of innocent civilians in Italy during WWII: the Marzabotto Massacre. It was an exceptionally bleak atrocity for Italy, as it involved the extinction of an entire ‘race’- on 3 October 1944, German and Austrian SS troops were ordered to purge the entire area of Monte Sole and Monte Ruminci, because the townspeople of Marzabotto, Grizzana Morandi, and Monzuno were suspected of helping and supplying Italian partisans along the Gothic Line, which Hitler himself had ordered to be kept at all costs to sever south Italy and Allied forces from the industrialised and developed north. Here Allied and Austrian SS forces saw out the last winter of WWII, tired, cold, depleted, neither able to advance or retreat. Here is where the Allies eventually broke through the following Spring, spelling the end of the war in Italy. Before that, Nazi troops literally marched into every town and exterminated every living thing in sight. Women, children, young babies and the elderly alike were killed by gunfire and with grenades. By sunset 3 October, Marzabotto’s and Monzuno’s unique population of mountain people, nearly two thousand people, were entirely exterminated. The SS then started moving into Grizzana Morandi and Monte Stanco herding the townspeople into two groups in no particular order. The first group (half the population) were slaughtered that night, the remaining group was to be executed the next morning. On 4 October 1944, the executions had already started, when out of nowhere a group of Allied soldiers who had been sent to patrol and scout the area, unaware of the purge, appeared and engaged the SS in combat. After a long battle they managed to drive the Nazis off well behind the Gothic Line, saving the few remaining people of Monte Sole. This group of soldiers was the 6th Armoured Division of South Africa. The South Africans had been the first Allied troops to arrive in the area; British, American, New Zealand, Rhodesian, Australian, and Indian troops arrived some three days later from the nearby American base in Livergnago (dubbed ‘Liver & Onions’ by soldiers) with food and supplies for the towns’ afflicted victims and set up Allied camps along what is today one of Italy’s most famous war commemoration sites – the Gothic Line. Hence, the people of Monte Sole celebrate South Africa every year, because the few survivors (some even today), owed their lives to the 6th Armoured Division. 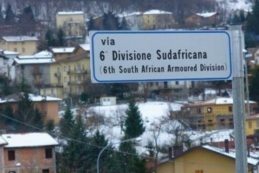 A new street connecting Castiglionei dei Pepoli and the entire area with the Bologna-Modena highway was unveiled in November last year was named in honour of the South African 6th Armoured Division.